RRC and Shmuel De-Leon are pleased to invite you to participate in the 2nd Medical Battery Conference, which will take place at the Marriott Courtyard Dusseldorf Seestern Hotel in Germany on November 19-20th, 2018. The conference for medical batteries will meet to discuss and provide a platform for technological innovations and business opportunities with the latest updates in that fields in Germany and abroad. 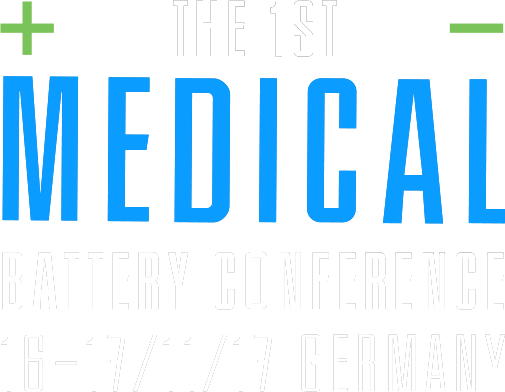 The conference is held once a year and is the only medical battery dedicated conference, bringing together participants from leading private and public companies, start-ups, investors, academics and businesses that are interested in the medical battery field. Seniors speakers from Germany and abroad will participate. Conference language: English. The conference also includes an exhibition. 08:45 – 09:10 “Implantable Medical Battery Market 2018”, Mr. Shmuel De-Leon, Shmuel De-Leon Energy, ltd.
09:10 – 09:35 “Flexible battery for medical devices”, Mrs. EJ Shin, Jenax Inc.